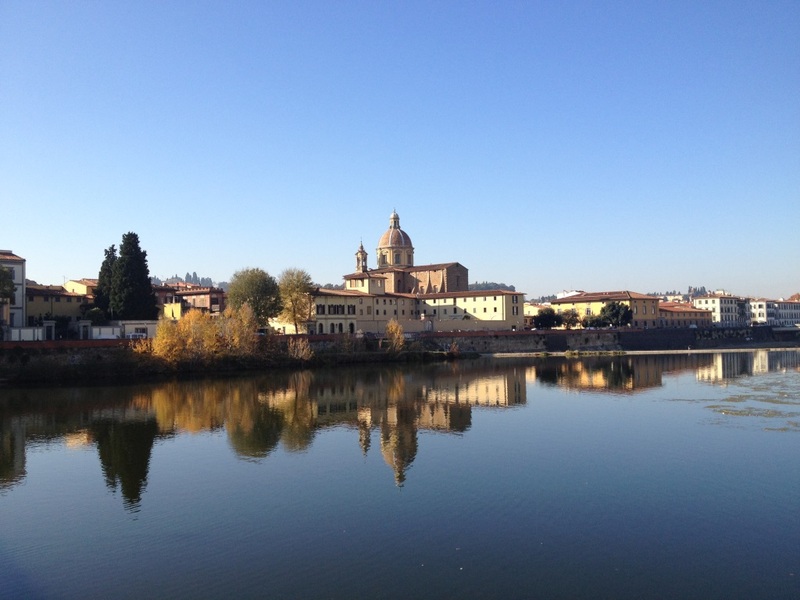 The beautiful Arno River runs through the center of Florence, then on toward Pisa and beyond. Once the area’s primary “highway,” it facilitated the transport of goods between the sea and cities in central Italy, and enabled warring troops to approach and attack their enemies up and down the river. It is said that the Florentines cheerfully relieved themselves into the Arno River, knowing that their downstream rivals, the Pisans, would be the recipients of the “polluted” water. The Arno is not always as picturesque and serene as it appears in this photo. On several occasions, it has overflowed its banks, creating massive flooding. In 1966, Florence was devastated by floodwaters which rose as high as twenty-two feet, killing forty people and severely damaging or destroying many priceless pieces of artwork. Several of Florence’s most notable attractions—including the Uffizi Gallery and the Ponte Vecchio—lie along (or across) the Arno River. No visit to Florence is complete without a leisurely stroll along the banks of the river. We said good-bye to the City of Water with great reluctance. We would have happily stayed on in Venice for another month had we had the time and wherewithal. We made arrangements for a water taxi to pick us up at our hotel and transport us back to the mainland. From there a private shuttle took us to the airport where we rented a van for a road trip down the Adriatic coast. 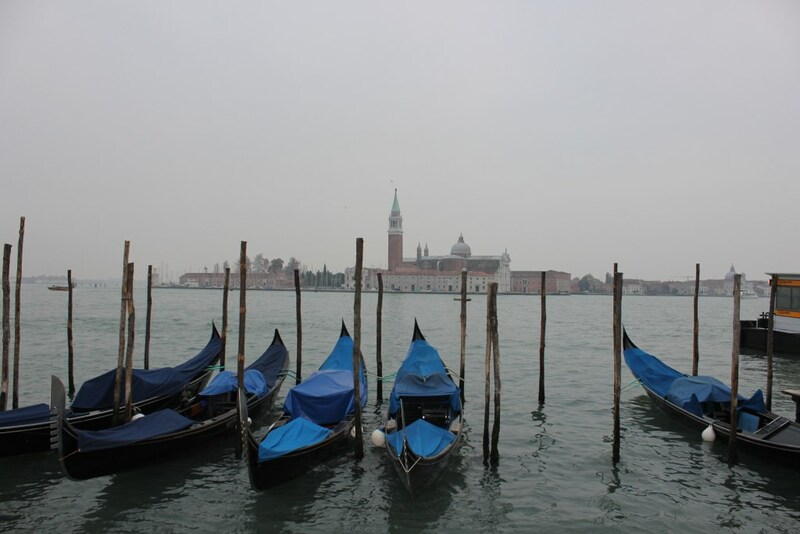 I hope to return to Venice and stay longer…sooner than later! 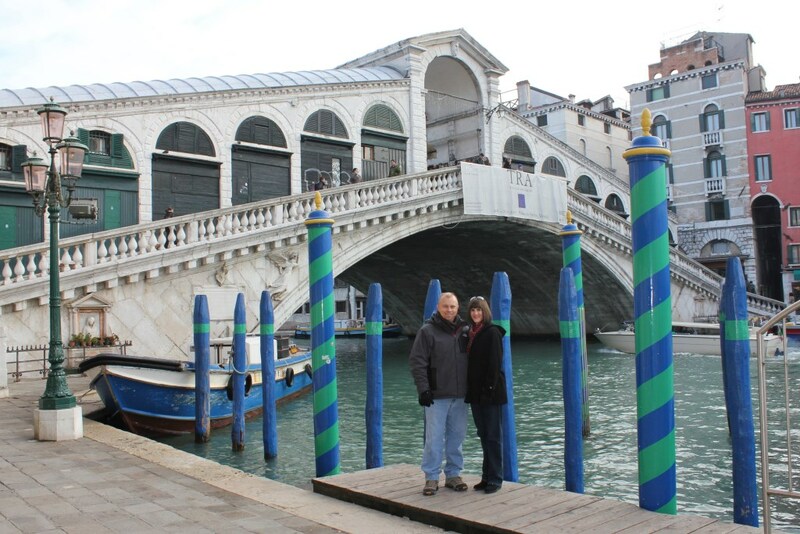 The single span Rialto Bridge is the oldest of four bridges straddling the Grand Canal in Venice. Completed in 1591, this unique stone arch was built to replace the original wooden structure that had twice collapsed. The bridge’s twin incline ramps meet to form a central portico which is lined with shops catering to Venice’s tourist crowd. The bridge includes three separate walkways—two along the outside and one wider passageway down the center. Its high arching design was intentional as ships required adequate space to pass under the bridge. Some so-called “experts” predicted future ruin, but the regal Rialto has defied her critics to become the most famous—and most photographed—bridge in the city. We visited the bustling Rialto district first thing on a Tuesday morning. 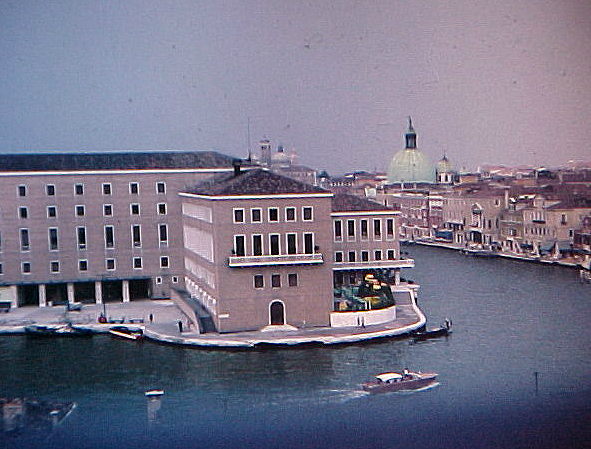 The Grand Canal teemed with activity as boats of every size and description jockeyed for position—loading and unloading freight, hauling passengers, or motoring to and from the lagoon. Locals and tourists alike mounted the ancient stone steps of the Rialto Bridge as vendors set up kiosks and hawked their wares. We had witnessed crowds and activity in other parts of the city, but the atmosphere in the Rialto district was different—businesslike and efficient. Here and there a gondolier loitered; others deftly threaded their gondolas through the maze of watercraft on the canal. This area is the oldest settled part of Venice and originally boasted exclusive shops, banks, and the fish market (which was later moved to the opposite side of the bridge to avoid assailing the noses of the bankers with less than appealing odors!). The crowded promenade that runs along the waterfront in Venice past the Bridge of Sighs and mere steps from St. Mark’s Square is known as the Riva degli Schiavoni. Here tourists can embark upon a gondola tour, purchase every kind of souvenir imaginable, mix and mingle with artists and craftsmen as they showcase their work, or grab a quick bite to eat. The waterfront is one of the busiest spots in Venice. Dating back to the ninth century, this bustling walkway is lined with historic buildings—many of which were once the palace homes of Venetian aristocrats, and today serve as hotels, restaurants, and shops. There is also a large bronze monument honoring Vittorio Emmanuele II, the first king of Italy. The Riva degli Schiavoni offers a fantastic view of the island of San Giorgio Maggiore and its beautiful church by the same name. No trip to Venice is complete without a gondola ride! While many visitors opt for a romantic, nighttime excursion in the soft moonlight with a serenading gondolier, a daytime tour is an excellent way to experience Venice up close and personal. Gazing up at the city from the water and gliding under a seemingly never-ending succession of bridges—each one unique—provides a completely different perspective than one gets when sightseeing on dry ground. Our group of six decided to go for the 60-minute private tour, all in one gondola. That option was fine for us as we wanted to share the experience as a family group. However, if your vision of a gondola ride is slightly more intimate than six folks loaded into one boat with four of those people seated on straight-backed chairs along the edges, you will likely want to book a tour for two. That said, we had great fun and saw a tremendous amount of the city in one hour. Our gondolier, Sandro, was informative and entertaining; he spoke perfect English, so communication was no problem at all. It was intriguing to watch the gondoliers interact when passing one another along the route. 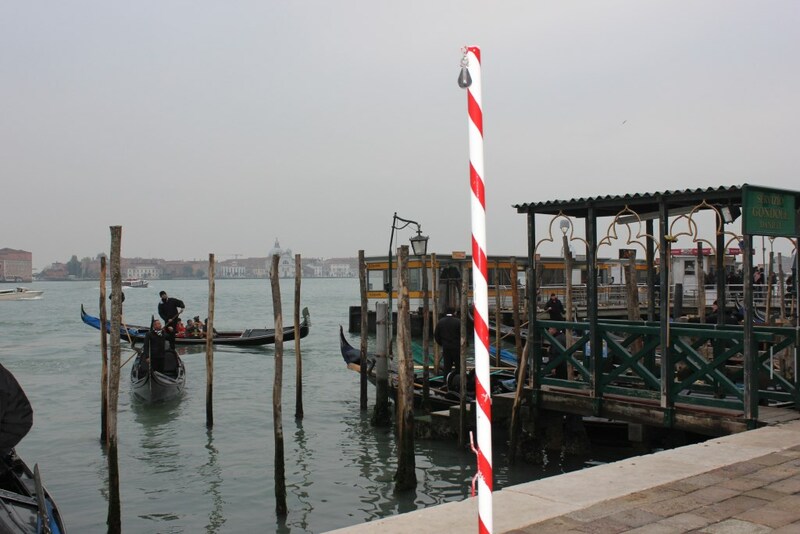 As they turned blind corners or slid into narrow spaces, the gondoliers would whistle or shout a warning. They chatted back and forth like old friends—as I am sure many of them are. I booked our tour online ahead of time through Walks of Italy. 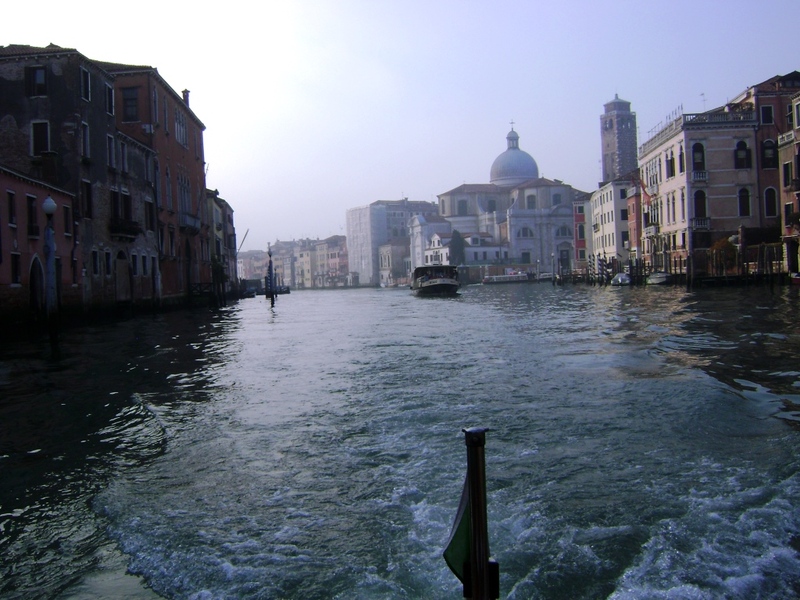 We used the Danieli Gondola Service—located opposite the Hotel Danieli on the Riva degli Schiavoni. We boarded the gondola in St. Mark’s Basin a short distance from St. Mark’s Square, passed under the Bridge of Sighs, and traveled along many of the city’s smaller, interior canals. We saw several notable landmarks including the reputed birthplace of Marco Polo, the famous Venetian merchant and explorer. Overall, we found the entire experience to be agreeable—peaceful, relaxing, and enlightening. There are a number of unique itineraries for gondola tours, depending on which boarding point you choose. It is, therefore, wise to do a little homework before settling on a particular route. Be prepared to pay a bit, as gondola tours are not cheap—but the opportunity is not to be missed! I had scheduled our gondola tour to immediately follow our guided tour of the Doge’s Palace and St. Mark’s Cathedral. As luck would have it, we were running a bit behind schedule and were late arriving at the loading dock. The confirmation paperwork I had received from Walks of Italy stressed the importance of a prompt arrival, so I was a bit worried that we would run into complications. Thankfully we were able to get right in, and our tardiness actually worked to our advantage since the majority of the other tourists were already on their way and the waterfront was much less crowded. Hours later as I lay in bed, I could still “feel” the gentle rocking of the gondola!